Spook up your world just in time for Halloween! 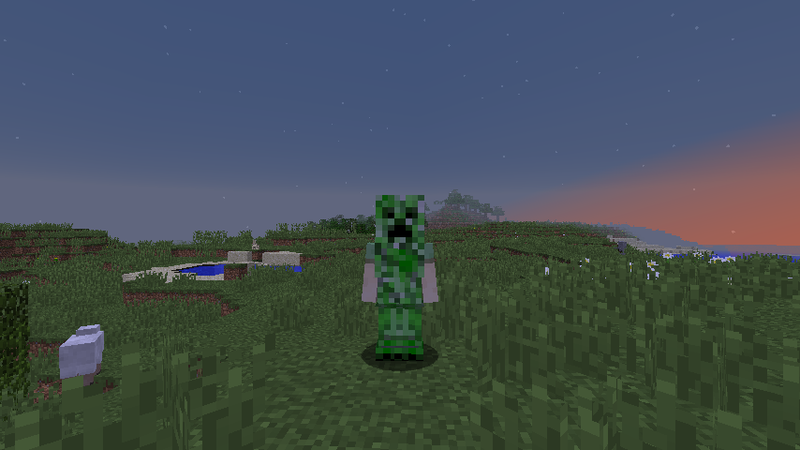 This mod adds costumes and creatures to celebrate Halloween in your game! Candy corn can heal 2 hunger points (1 bar) and has a saturation of 0.4. Scythes are equivalent to iron swords. They deal 7 attack damage and have a durability of 251. These weapons are wielded by Grim Reapers and dropped upon their death. They can be crafted too with 2 iron ingots and 2 metal rods. Metal rods are used for crafting scythes. 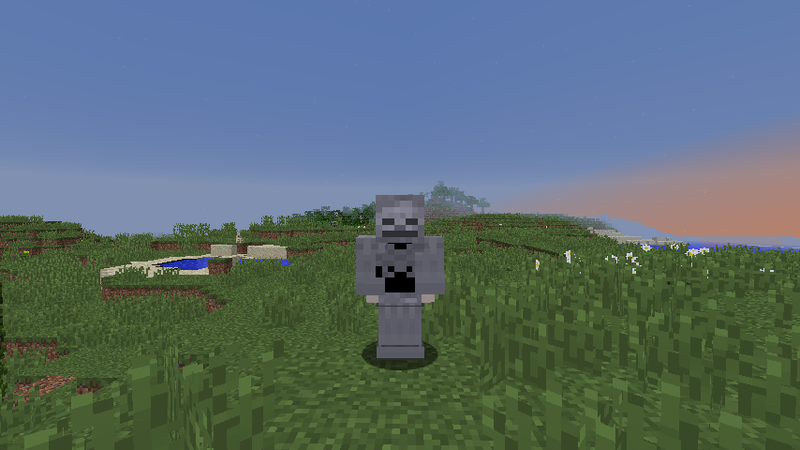 They are crafted with 2 iron ingots and 1 ink sac. 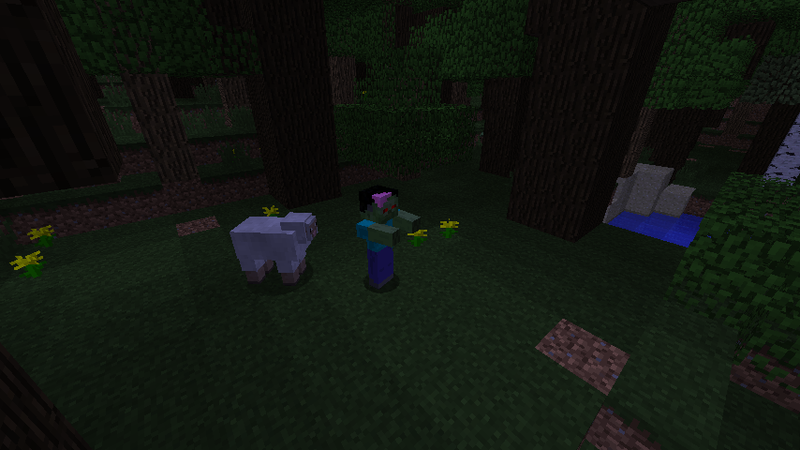 These scary creatures will spawn in forests, taigas, swamps, and roofed forests. They have an 80% spawn chance in light levels 7 or below and can spawn in packs of up to 4. Ghosts have 25HP and deal 4 attack damage. 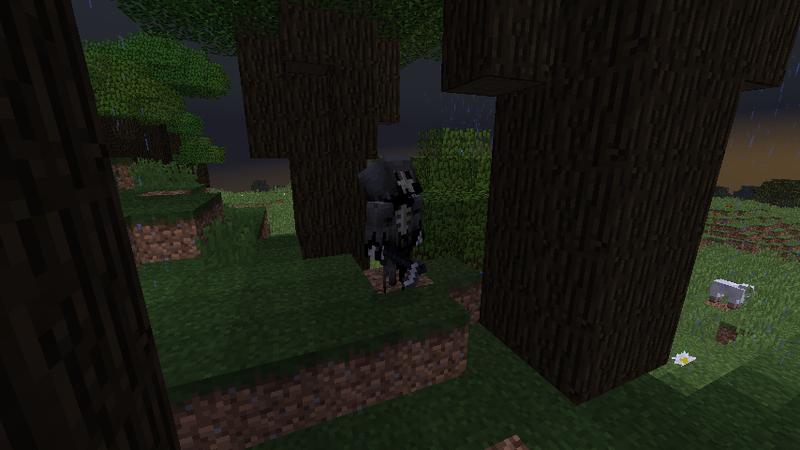 Grim Reapers spawn in forests, taigas, swamps, and roofed forests as well. They, however, only have a 15% spawn chance (be glad). These creatures have 30HP and deal 7 attack damage with their scythe. Upon death grim reapers will drop bones and their scythe. Scythes are equivalent to iron swords. Frankenstein has a 6% chance of spawning in roofed forests. He has a whopping 40HP and deals 10 attack damage! Hopefully you'll never have to run into him. Upon death he drops rotten flesh and iron ingots. Worst case scenario, just run. 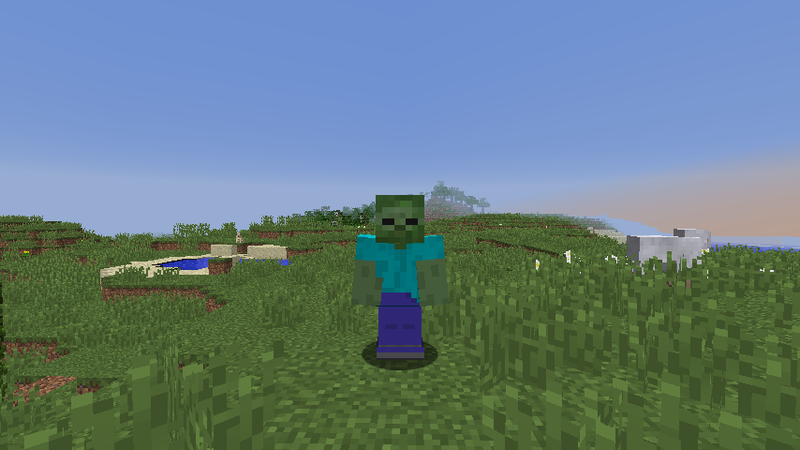 There are currently 3 costumes: Creeper, Skeleton, and Zombie. Costumes have the equivalent armor value of leather.